Others would tell you doctrine isn’t bitter, it’s just boring. Sound doctrine puts them sound asleep. Those who hold these misguided notions have obviously never read Michael Reeve’s new book, Delighting in the Trinity. I’ve read a number of theology books in my time and this one makes the shortlist for my all-time favourites (along with J.I Packer’s Knowing God, Packer’s Keep in Step with the Spirit, Richard Lovelace’s Dynamics of Spiritual Life and John Pipers, The Delights of God). 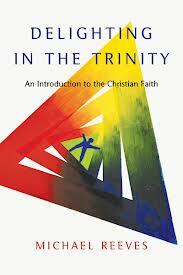 If you think the doctrine of the Trinity is imponderable or impractical, you need to read Delighting in the Trinity. If you’ve been stumped by a high school student or Muslim friend who asks you how Christians can believe in One God and Three Gods at the same time, you need to read Delighting in the Trinity. If you want your heart moved, stretched, inspired, humbled and strengthened, you need to read Delighting in the Trinity. Reeves makes a persuasive case that rather than classifying the Trinity as boring or baffling, we should see it as beautiful. Delightfully beautiful. “This book, then, will simply be about growing in our enjoyment of God and seeing how God’s triune being makes all this ways beautiful. It is a chance to taste and see that the Lord is good, to have your heart won and yourself refreshed. For it is only when you grasp what it means for God to be a Trinity that you really sense the beauty, the overflowing kindness, the heart-grabbing loveliness of God” (from the Introduction). As you read the book, you’ll discover why the statement, “God is love,” only makes sense if God is Trinity. You’ll see salvation in a richer, fuller light than ever before. The Greek words translated “sound doctrine” (1 Timothy 1:10; Titus 2:1) literally mean “healthy teaching.” Delighting in the Trinity is a book that spoons out biblical medicine for the soul in a healthy and delicious way. 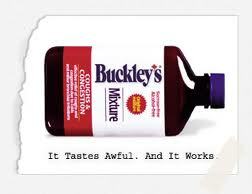 Buckley’s, eat your heart out.